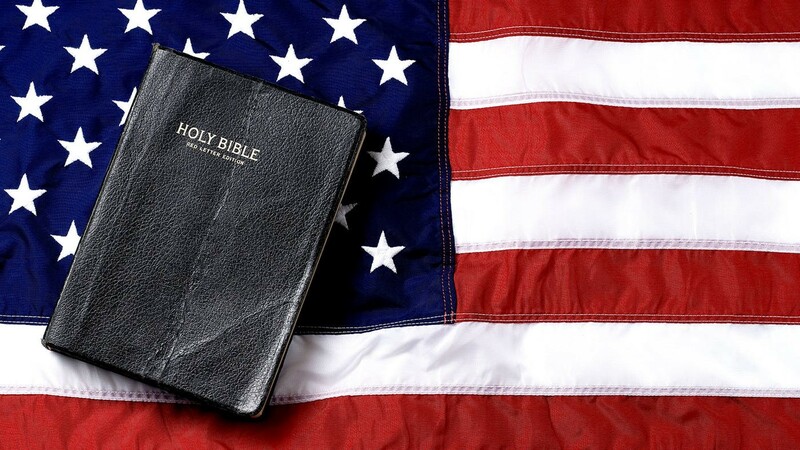 Can Christians be loyal both to Jesus and to the United States of America? Has it ever been this crazy in American politics? If we could wake the dead, they might argue the days shortly following the conclusion of the American Revolution were crazier times while others would note the horrors of the Civil War in the mid-1800s. Some alive today would dredge up the turbulent era of the 1960s recalling the bombings, riots, kidnappings, and murders assigned to political stances. 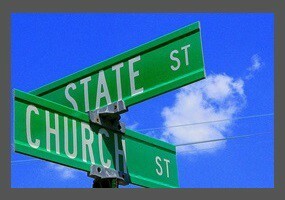 When it comes to the place of politics in the local church, there exists a wide range of opinions. I’ve never lived in a culture other than the United States, so I cannot speak to how the church in India, Brazil, or Spain intersects with national or local politics. I can, however, speak to the American church. Within the American church, there is no broad consistency. Some churches host local, state, and federal office holders at their Sunday gatherings. When the calendar brings election season, some churches welcome political candidates to their services and pass out voter guides. Other churches move to the opposite end of the spectrum and ignore the political process altogether, as if political parties and candidates have no meaning nor significance for the church or the cause of Christ. Citing Paul and Peter, they observe that Christian citizenship is in heaven, and Christians are pilgrims traveling through the various lands in which we live. But are these additions to identity when one becomes a Christian a mandate or an excuse to detach from identity here? Does citizenship in heaven eradicate citizenship in a particular country? Does spiritual sojourning mean there should not be allegiance to a particular nationality? While it is true that Christians possess dual citizenship in this world and the next and that Christian pilgrims are progressing away from this world toward the world that is to come, there are no Bible commands directing us to abandon our current citizenry nor is there apostolic instruction cautioning us about our passion for national identity. I’d suggest the exact opposite appears in the Scriptures. From the Old Testament we possess examples (1 Corinthians 10:11) of how we should live in our present situations. Jeremiah offers a model when he instructs the expatriates in godless Babylon how they should live as Babylonian nationals exiled away from Palestine. We live on earth, specifically in the United States. Spiritually, we are Christian exiles waiting our repatriation to a heavenly city, a city where we long to live, but where we do not live presently. Following the example of the physical exiles in Babylon, it should be our practice to seek the peace and prosperity of the United States of American. To despise one’s nation is an act of rebellion against the providence of God, but blindly to idolize it is an act of rebellion of another sort. Patriotism, rightly understood in a Christian worldview, is a natural recognition of God’s good providence and his sovereignty in determining our place, rootedness, and our story. We come from somewhere, and we are part of a family line whose sacrifices in generations past have shaped our story. Our country and our families are not ultimate, but they are important. Showing them honor is way we honor Christ (1 Peter 2:13–17). I’d suggest a strong argument can be made that American Christians have a duty to express loyalty to the United States of America. Such loyalty is not a usurping of a greater loyalty to heaven, but is, in fact, an expression of loyalty to heaven. We are one week away from an election which, like all elections, has bearing on American values. As a Christian man, I will cast a vote that I believe will seek the safety and fortune of the United States of America. There is more we need to discuss. Next, I want to address the intersection of American values and Christian values. Until then, I hope you will join me in prayer for these United States.